This entry was posted in ebook, Publishing and tagged Blogging, creative content, creative writing, Daily Writing Tips, DailyWritingTips, editing tips, grammar, guide, writing goals, writing tips on April 12, 2019 by First Edition Design Publishing. It’s a battle between words: fewer vs. less. Are they interchangeable? Do these words have different meanings? How can we use them correctly? Many people don’t realize that these two words do not share the same meaning and therefore cannot be used interchangeably. As a result, both fewer and less are often used incorrectly. fewer: adjective 1. of a smaller number: fewer words and more action. less: adjective 1. smaller in size, amount, degree, etc. ; not so large, great, or much: less money; less speed. The grammar rules are clear; let me break them down for you. Fewer vs. Less? Which is Correct? He has fewer books than his best friend has. He has less interest in reading than his best friend has. Note that books can be counted item by item. However, interest is not a thing that can be counted, although we can discuss how much of it someone has. The basic difference here is countability. Use fewer for countable nouns like individuals, cars, and pens. Use less for uncountable nouns such as love, time, and respect. Do note, however, that there are some sticky spots to watch out for when determining whether you should use fewer or less. For example, you might need less paper but you will need fewer sheets of paper. You have fewer pennies but less money. You want fewer chocolate bars but less candy. Now you know how to tell the difference between fewer vs. less. pairs? Maybe you have something to add to this linguistic look at tricky adjectives. Share your thoughts by leaving a comment, and let’s discuss. This entry was posted in ebook, Publishing and tagged Daily Writing Tips, DailyWritingTips, editing tips, grammar, The Write Practice, tips, Write Practice, writer, writers, Writers Write, writing, writing career, writing goals, writing practice, writing tips, writing tools on July 10, 2018 by First Edition Design Publishing. Here’s a secret: I’ve never been explicitly taught not to split infinitives (or to not split infinitives?). Surprise! If that statement’s a shocking pronouncement, or if it makes no sense at all, never fear. Let’s take a step back and look at the long, illustrious history of split infinitives. First off: what’s an infinitive? When you use a verb in a sentence, you conjugate it—that is, you change its form to match the subject and the tense. The infinitive, though, is the original form of the verb, before it’s changed to fit into a sentence. The funny thing about the English language is that the full infinitive of a verb is always two words: it always includes the word “to.” Without the “to,” it’s called the bare infinitive. And that’s where all this trouble starts . . .
A split infinitive happens when extra words appear between “to” and the bare infinitive of the verb. I want to really understand what you’re saying. She got a new alarm clock because she’s trying to not oversleep every morning. Why shouldn’t you split infinitives? There’s a long-standing, often-repeated rule in English that thou shalt not split infinitives. It’s generally taught in schools and many grammar nazis uphold it with unswerving fervor. It’s a pretty archaic rule. Most scholars trace it back to the early 19th century, when modern English grammar was still being invented. Some guy named Henry Alford (who wrote the book The King’s English) decided that since you can’t split infinitives in Latin, you shouldn’t be splitting infinitives in English. Here’s the thing: infinitives in Latin are just one word. It’s impossible to split a Latin infinitive because there’s nothing to split. It may be an old, oft-cited rule—but it’s also pretty baseless. “Never split infinitives” is a baseless rule. Split away! When should you obey the rule? Before we abandon the rule completely, let’s talk about the times when it’s helpful. There’s no need to throw the baby out with the bathwater. He’s going to nicely, sweetly, and unexpectedly ask her to the prom. He’s going to ask her to the prom nicely, sweetly, and unexpectedly. Beware of cramming too many words into your infinitives. That can get clunky, messy, and confusing fast. I really want to understand what you’re saying. Sure, you might really want to understand, but that’s different from really understanding. One means to have a true desire to understand; the other is to want a deep, thorough understanding. She got a new alarm clock because she’s trying not to oversleep every morning. “To not oversleep” puts firm emphasis on her action, which we lose with this arrangement. She’s trying to NOT OVERSLEEP, okay?! Stop giving her a hard time about her mornings! To go boldly where no man has gone before. This loses the elegant ring of “to boldly go.” Would “to go boldly” ever have become such a famous phrase? We’ll never know. Splitting infinitives doesn’t generally hinder comprehension unless you’re trying to cram fifteen words in (don’t do that!). So split away! Enjoy being able to slowly chew your dinner! Take time to really think of your fabulous story ideas! Make it your mission to boldly go where no man (or woman!) has gone before. And if grammar nazis or English teachers give you trouble, feel free to confidently whip out your knowledge of the history of the English language and defend your split infinitives. Do you feel passionately about split (or not-split) infinitives? Let us know in the comments. This entry was posted in ebook, Publishing and tagged creative writing, Daily Writing Tips, DailyWritingTips, grammar, improve your writing, improving your writing, making a living as a writer, The Write Practice, Uplifting writing, Write Practice, writer, writers, Writers Write, writers' group, writing, writing career, writing critique, Writing Forward, writing goals, writing practice, writing tips, writing tools on March 19, 2018 by First Edition Design Publishing. Proper capitalization is one of the cornerstones of good grammar, yet many people fling capital letters around carelessly. Not every word deserves to be capitalized. It’s an honor that must be warranted, and in writing, capitalization is reserved only for special words. Most of the grammar rules are explicit about which words should be capitalized. However, there are some cases (like title case) in which the rules are vague. There are several contexts in which we can examine capitalization. When writing a title (of a blog post, for example), almost all the words in the title are capitalized. This is called title case. Title case is used for titles of books, articles, songs, albums, television shows, magazines, movies…you get the idea. Capitalization isn’t normally applied to every word in a title. Smaller words, such as a, an, and the are not capitalized. Some writers only capitalize words that are longer than three letters. Others stretch it to four. There is an exception to the rule of using lowercase for short words in a title: Words that are important should remain capitalized, even if they are shorter than three or four letters. For example, the word run is only three letters, but if it appeared in a title, it would be capitalized, because it would be the verb (or action) within the title: “Would You Run for Office?” Similarly, important nouns (subjects of objects of a title), such as me, would retain capitalization: Marley and Me. There’s no fixed grammar rule for which words aren’t capitalized in a title, although they tend to be smaller and less significant words; you should check your style guide for specific guidelines to ensure that your capitalization in consistent. The acronym for Writing Forward would be WF. WYSIWYG is an acronym that stands for what you see is what you get. Although the words in the original phrase aren’t capitalized, every letter in the acronym is capitalized. Most people use acronyms heavily in text messaging and online messaging. In common usage, these acronyms are rarely capitalized: omg, btw, nsfw. However, if you were using these acronyms in a more formal capacity, they would be entirely capitalized: OMG, BTW, NSFW. As I’m sure you know, grammar rules state that the first word in a sentence is always capitalized. To keep things simple here today, we’ll refer to a noun as a person, place, or thing. You need not worry about the other parts of speech because only nouns are eligible for perennial capitalization. There are two types of nouns that matter in terms of capitalization: proper nouns and common nouns. Proper nouns are the names of specific people, places, and things. Common nouns are all the other, nonspecific people, places, and things. When considering whether to capitalize, ask whether the noun in question is specific. This will tell you if it’s a proper noun, which should be capitalized, or a common noun, which remains in all lowercase letters. The word country is not specific. It could be any country. Even if you’re talking about the country in which you live, which is a specific country, the word itself could indicate any number of nations. So keep it lowercase because it’s a common noun. Conversely, Chile is a specific country. You can tell because Chile is the name of a particular land in which people reside. When you discuss the people of that land, you won’t capitalize the word people. However, if you’re talking about Chileans, you definitely capitalize because Chileans are a very specific people, from a very specific country, Chile. Hopefully that makes sense. If not, keep reading because I’m about to confuse you even more. Have you ever noticed the word Internet capitalized? How about the word Web? The linguistic jury is still out on these newfangled technology terms, but generally speaking, the Internet is one great big, specific place. The Web is just another word for that same place. Wait — what about websites? Do they get capitalized? Only if you’re referring to the name of an actual site, like Writing Forward. Capitalization of Web and Internet is not a hard and fast grammar rule. Lots of people write these words in all lowercase letters. If you’re not sure about whether to capitalize these words, check your style guide. We sent the Product to the local Market in our last shipment. Have the Sales Force check to see if our Widgets are properly packaged. It’s not uncommon, especially in business writing, to see nouns that are crucial to a company’s enterprise capitalized. This is technically incorrect but could be considered colloquial usage of a sort. Unless it’s mandated by a company style guide, avoid it. Now, in a rewrite of the example, some of the words will be again capitalized, but only if they are changed to proper nouns (names or titles of things and people). We sent the Widgetbusters (TM) to WidgetMart in our last shipment. Have Bob, Sales Manager, check to see if our widgets are properly packaged. What about Capitalization for Job Titles? Have you ever met a president? Did you vote for president? Do you want to become the president? Nice to meet you, Mr. President. I read a book about President Lincoln. Again, this has to do with specificity. “The president” or “a president” could be any president, even if in using the phrase, it’s obvious by context who you mean. However “Mr. President” or “President Lincoln” are specific individuals, and they call for capitalization. Do you have any questions about grammar rules regarding capitalization? Any additional tips to add? Leave a comment! This entry was posted in ebook, Publishing and tagged bad writing, Capital, Copywriting, creative writing, Daily Writing Tips, DailyWritingTips, grammar, improve your writing, improving your writing, income from writing, inspiration, making a living as a writer, on writing, rhythm in your writing, scholarly writing, screenwriting, The Write Practice, The Writer Practice, TheWritePractice, Uplifting writing, Write Practice, writer, Writer's Digest, writers, Writers Write, writers' group, writing, writing career, writing critique, Writing Forward, writing goals, writing in dialects, writing practice, writing tips, writing tools, writter on March 8, 2018 by First Edition Design Publishing. Occasionally, we grammar enthusiasts need to take a step back and lighten up a little bit. While there are some grammar rules that are hard and fast (I’m looking at you, comma splice), sometimes there is wiggle room (like the controversial claim that you can split infinitives). Today, we’re tackling another wiggly rule: is ending a sentence with a preposition okay? Well, guess what? I’m here to liberate your pens and tell you that it’s okay for your protagonist to ask her cheating boyfriend who he was just with. First, a quick review: what is a preposition? These cats explain it pretty well. A preposition describes the location of a noun or pronoun in space or time. I fed the cats at seven this morning. Pamela will clean the seven litter boxes in the evening. After you pet the cats, wash your hands before you eat, please. Is Ending a Sentence With a Preposition Bad? Recently, we talked about the “rule” that you shouldn’t split infinitives and why it’s really okay. The bottom line: a few centuries ago, when our grammar was a murky mess, some outspoken grammarians decided to apply Latin rules to English, regardless of whether that was a sensible choice. In this case, dramatist John Dryden was the first to take up the pen against ending sentences with prepositions, way back in 1672. He claimed that since you can’t end a sentence with a preposition in Latin, you shouldn’t do it in English, either. English isn’t Latin, though, and we structure our sentences very differently. It’s easy to construct perfectly logical and grammatically sound sentences whose only “fault” is that they end with prepositions. And as we recognize how arbitrary and baseless this rule was to begin with, we’ve moved away from strictly adhering to it. So if you’ve ever written yourself into a corner fretting over the preposition rule, breathe deep. It’s okay to end a sentence with a preposition. That being said, there are a few caveats. If the meaning of the sentence is still clear without the ending preposition, then remove it. Then again, it’s also not uncommon to overhear someone refer to a group of people as “yinz guys,” so I’d hardly claim my hometown as a beacon of good grammar and usage. Carla wanted to run, but her feet refused. What was she waiting for? Rewriting that last phrase would completely convolute the prose. No one asks, “For what was she waiting?” Come on now. Is it okay to end a sentence with a preposition? Yep. Is this claim controversial? You bet. Still . . . maybe it’s time to rethink how much we pay attention to those Latin-obsessed 17th century introverts. Have you heard the “rule” (*cough* myth) that ending a sentence with a preposition is a grievous error? Do you ever end sentences with prepositions? Let us know in the comments section. This entry was posted in ebook, Publishing and tagged creative writing, grammar, on writing, scholarly writing, Write Practice, writer, Writer's Digest, writers, Writers Write, writers' group, writing, writing career, writing critique, Writing Forward, writing goals, writing in dialects, writing practice, writing tips, writing tools, writter on February 25, 2018 by First Edition Design Publishing. It’s one of those grammar glitches that makes English teachers twitch, and it’s a perplexing punctuation problem. Knowing when to use an apostrophe and when to use apostrophe -s can be tricky, but this grammar quickie provides all you need to know about plural versus possession when it comes to apostrophe -s.
You can have one or you can have many. Do you have a dog or do you have dogs? Generally speaking when you’re indicating more than one, you simply add an “s” to the word. That’s it, you’re done. Is it plural or is it owned? If you’re showing ownership, then you’ll usually add apostrophe -s to the word. You have a dog. Your dog has a collar. That is the dog’s collar. If something (collar) belongs to something else (dog), it is given the apostrophe -s to show possession. But what if you have more than one dog and they each have their own collar? You have dogs. They have collars. Those are the dogs’ collars. When you’re dealing with more than one owner, the plural “s” is added and the apostrophe follows. One of the most common spelling mistakes happens with the word it, especially when people try to indicate possession. Should you add the apostrophe -s or not? When does it take apostrophe -s and when does it just take an s? One word in the English language stands out as an exception to the rule when it comes to plural versus possession. The word it is treated a bit differently. In fact, there is no plural possession at all because it is inherently singular (the plural form is another word altogether: they). That’s a relief. But what about when “it” owns something? When you’re showing possession with the word it, you simply reverse the rules and lose the apostrophe. The car has wheels. Its wheels are round. See? No apostrophe when something belongs to it. It’s is neither possessive nor plural. When the apostrophe -s is added to it, what you’re seeing is a contraction, or a shortening of two words. The phrase it is is being shortened. If you have a hard time remembering this, try saying your sentence or phrase by replacing “its” or “it’s” with “it is.” If “it is” works, then you have a contraction and the apostrophe is required. If not, then just an s will do. Remembering the rules is easy. All you have to do is remember that if there’s ownership or possession, then the word should take apostrophe -s. If there are many (the word is plural), then just an “s” will do. If a word is both plural and possessed, it gets an s followed by an apostrophe. And for the word “it,” the rules are reversed. The English language is fraught with such exceptions, and plural forms of many words require more than adding an “s” to the end. Learning all the exceptions takes patience and time, and requires that you constantly pay attention to words with special rules. Always keep an eye out for them. Do you have any tips to add for remembering the punctuation marks and grammar rules for plurals and possessions? Do the rules for using apostrophe -s ever confuse you? Share your thoughts in the comments! This entry was posted in ebook, Publishing and tagged grammar, lesson, plural, writing, writing practice, writing tips on January 17, 2018 by First Edition Design Publishing. There are a lot of bad grammar posts in the world. These days, anyone with a blog and a bunch of pet peeves can crank out a click-bait listicle of supposed grammar errors. There’s just one problem — these articles are often full of mistakes of one sort or another themselves. Once you’ve read a few, you start noticing some patterns. Inspired by a recent post titled “Grammar Police: Twelve Mistakes Nearly Everyone Makes,” I decided to make a list of my own. 1. Confusing grammar with spelling, punctuation, and usage. Many people who write about grammar seem to think that grammar means “any sort of rule of language, especially writing.” But strictly speaking, grammar refers to the structural rules of language, namely morphology (basically the way words are formed from roots and affixes), phonology (the system of sounds in a language), and syntax (the way phrases and clauses are formed from words). Most complaints about grammar are really about punctuation, spelling (such as problems with you’re/your and other homophone confusion) or usage (which is often about semantics). This post, for instance, spends two of its twelve points on commas and a third on quotation marks. 3. Ignoring register. There’s a time and a place for following the rules, but the writers of these lists typically treat English as though it had only one register: formal writing. They ignore the fact that following the rules in the wrong setting often sounds stuffy and stilted. Formal written English is not the only legitimate form of the language, and the rules of formal written English don’t apply in all situations. Sure, it’s useful to know when to usewho and whom, but it’s probably more useful to know that saying To whom did you give the book? in casual conversation will make you sound like a pompous twit. 5. Turning proposals into ironclad laws. This one happens more often than you think. A great many rules of grammar and usage started life as proposals that became codified as inviolable laws over the years. The popular that/which rule, which I’ve discussed at length before, began as a proposal — not “everyone gets this wrong” but “wouldn’t it be nice if we made a distinction here?” But nowadays people have forgotten that a century or so ago, this rule simply didn’t exist, and they say things like “This is one of the most common mistakes out there, and understandably so.” (Actually, no, you don’t understand why everyone gets this “wrong,” because you don’t realize that this rule is a relatively recent invention by usage commentators that some copy editors and others have decided to enforce.) It’s easy to criticize people for not following rules that you’ve made up. 6. Failing to discuss exceptions to rules. Invented usage rules often ignore the complexities of actual usage. Lists of rules such as these go a step further and often ignore the complexities of those rules. For example, even if you follow the that/which rule, you need to know that you can’t use that after a preposition or after the demonstrative pronounthat — you have to use a restrictive which. Likewise, the less/fewer rule is usually reduced to statements like “use fewer for things you can count,” which leads to ugly and unidiomatic constructions like “one fewer thing to worry about.” Affect and effect aren’t as simple as some people make them out to be, either; affect is usually a verb and effect a noun, but affect can also be a noun (with stress on the first syllable) referring to the outward manifestation of emotions, while effect can be a verb meaning to cause or to make happen. Sometimes dumbing down rules just makes them dumb. 7. Overestimating the frequency of errors. The writer of this list says that misuse ofnauseous is “Undoubtedly the most common mistake I encounter.” This claim seems worth doubting to me; I can’t remember the last time I heard someone say “nauseous.” Even if you consider it a misuse, it’s got to rate pretty far down the list in terms of frequency. This is why linguists like to rely on data for testable claims — because people tend to fall prey to all kinds of cognitive biases such as the frequency illusion. 9. Simply bungling the rules. If you’re going to chastise people for not following the rules, you should know those rules yourself and be able to explain them clearly. You may dislike singular they, for instance, but you should know that it’s not a case of subject-predicate disagreement, as the author of this list claims — it’s an issue of pronoun-antecedent agreement, which is not the same thing. This list says that “‘less’ is reserved for hypothetical quantities,” but this isn’t true either; it’s reserved for noncount nouns, singular count nouns, and plural count nouns that aren’t generally thought of as discrete entities. Use of less has nothing to do with being hypothetical. And this one says that punctuation always goes inside quotation marks. In most American styles, it’s only commas and periods that always go inside. Colons, semicolons, and dashes always go outside, and question marks and exclamation marks only go inside sometimes. 11. Using grammar to put people down. This post sympathizes with someone who worries about being crucified by the grammar police and then says a few paragraphs later, “All hail the grammar police!” In other words, we like being able to crucify those who make mistakes. Then there are the put-downs about people’s education (“You’d think everyone learned this rule in fourth grade”) and more outright insults (“5 Grammar Mistakes that Make You Sound Like a Chimp“). After all, what’s the point in signaling that you’re one of the grammatical elite if you can’t take a few potshots at the ignorant masses? Jonathon Owen is a copy editor and language writer with a master’s degree in linguistics from Brigham Young University. He blogs about usage, editing, and linguistics at Arrant Pedantry, where this post first appeared. This entry was posted in Publishing and tagged copy-editing, editing, grammar, writers, writing on November 21, 2013 by First Edition Design Publishing. One does not rely on the entertainment industry to model proper grammar and punctuation, but is it too much to expect that movie titles make grammatical sense? Evidently, it is; filmmakers and film studio marketing staff have more important things to do than ensure that titles correctly use hyphens and apostrophes, appropriately employ punctuation marks, and form verbs properly, as these movie posters demonstrate. An early poster for The 40-Year-Old Virgin omitted the first hyphen, resulting in a title that didn’t make sense. If it were plural, it could refer to twoscore twelve-month-old babies, but that’s rather complicated. Fortunately, later versions were corrected, and moviegoers were left with a comforting correlation between a photograph of Steve Carell’s dorky-looking title character and a that-figures movie title. The title of the horror-comedy Eight Legged Freaks appears to refer to an octet of people who may be otherwise abnormal but are equipped with legs. However, as an epithet for unusually large and aggressive spiders (apparently based on an ad lib from the star of the film, which originally bore the title Arac Attack), it should read Eight-Legged Freaks; the wordseight and legged must — outside of Hollywood, that is — be hyphenated to signal that they combine as a single term modifying freaks. Shrink, shrank, shrunk. Shrink, shrank, shrunk. I always have to look that kind of stuff up — a strategy the makers of this film could have easily employed to produce a grammatically correct title. 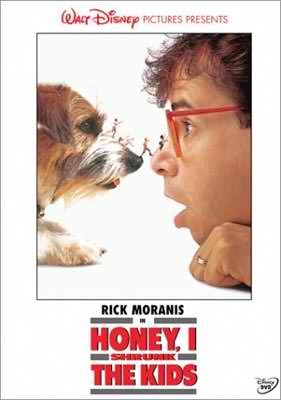 Depending on where Rick Moranis’s character is in the child-miniaturizing process at the pertinent time, the title should be Honey, I Will Shrink the Kids, Honey, I Shrank the Kids, or Honey, I Have Shrunk the Kids. 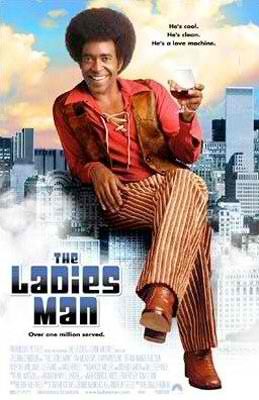 This man belongs to the ladies. He is in their possession. Ladies claim ownership of this man. He is a ladies’ man. Ladies, is this your man? 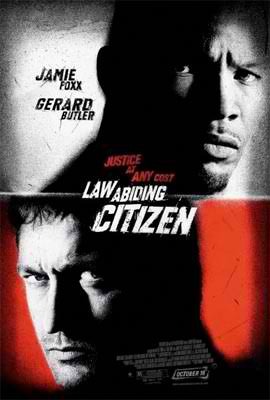 A citizen who abides by the law is a law-abiding citizen; law and abiding are connected by a hyphen to show that together, they describe the particular type of citizen ostensibly featured in this film (in reality, the protagonist is a law-flouting citizen — but that’s Hollywood for you). The lack of a hyphen is excusable in display type on a movie poster or in the film’s credits, but when it is omitted on promotional materials as well, the producers are not law-abiding filmmakers. When you plan to resign from a job, it’s customary to give notice two weeks in advance of your planned departure date. You give a notice of two weeks. 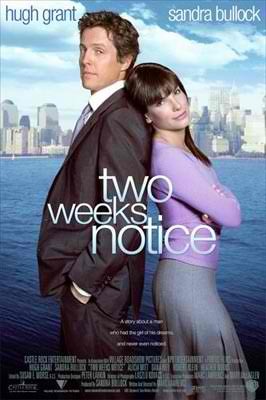 The two weeks “belong” to the notice, so it’s “two weeks’ notice” (or “a two-week notice,” though the other form is much more common). This title is a question. 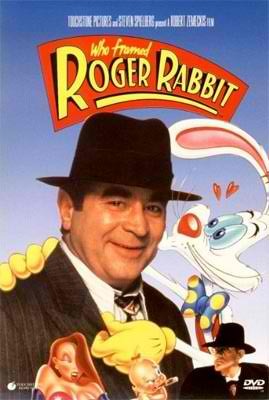 The source material for the film is a novel titled Who Censored Roger Rabbit? So, why does the movie title not include a question mark? Some sources claim that filmmakers have a superstition that titles so adorned do poorly at the box office. Tell that to What’s Up, Doc?, Whatever Happened to Baby Jane?, Who’s Afraid of Virginia Woolf?, and, more recently,O Brother, Where Art Thou?, among others. This film did very well, but I think would have been just as successful with the perilous punctuation mark. Defenders will say the title is shorthand for “Find Out Who Framed Roger Rabbit,” but that requires logical contortions not even the rubber-limbed title character can manage. First Edition Design Publishing is the world’s largest eBook and POD (Print On Demand) book distributor. Ranked first in the industry, First Edition Design Publishing converts and formats manuscripts for every type of platform (e-reader). They submit Fiction, Non-Fiction, Academic and Children’s Books to Amazon, Apple, Barnes and Noble, Sony, Google, Kobo, Diesel, 3M, Ingram, Baker and Taylor, Nielsen, EBSCO, and over 100,000 additional on-line locations including retailers, libraries, schools, colleges and universities. The company’s POD division creates printed books and makes them available worldwide through their distribution network. First Edition Design Publishing is a licensed and approved Aggregator and holds licenses with Apple and Microsoft. This entry was posted in Uncategorized and tagged grammar, mistakes, tips, writing on September 19, 2012 by First Edition Design Publishing.